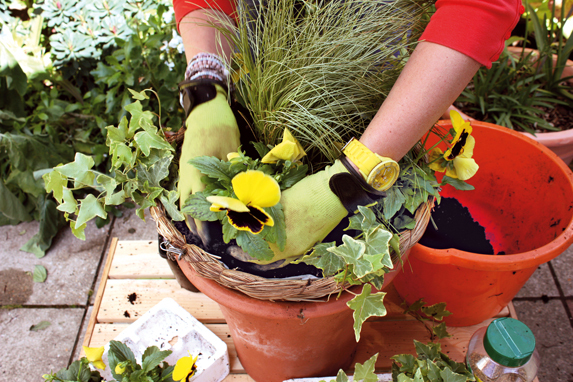 We show you how to plant winter hanging baskets in this simple step by step. 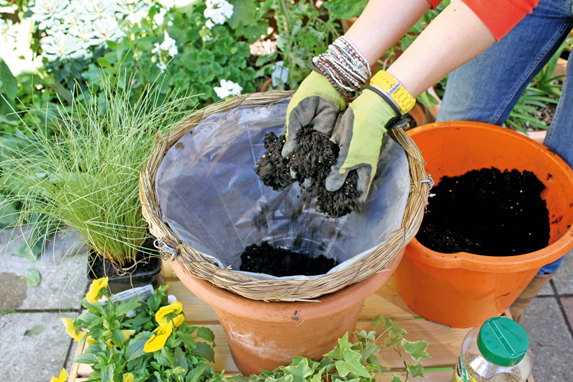 Step 1) Mix a slow release fertiliser with your choice of multipurpose compost and fill the bottom of the hanging basket. 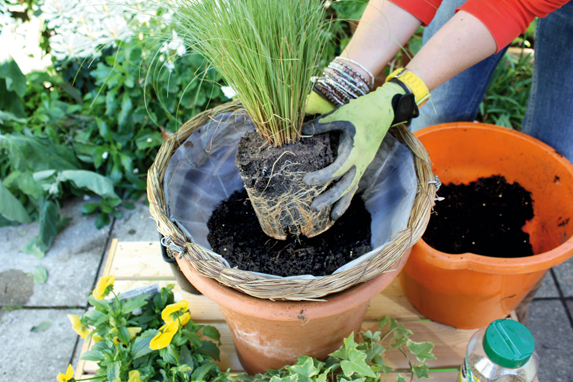 Keep the basket stable while you plant it up by first placing it in a large pot. Step 2) Place the Carex ‘Frosted Curls’ in the centre of the basket, first teasing out any dense root material. Add more compost around the rootball to raise the planting height for your other plants. Step 3) Set the three ivies equally around the pot and add compost to firm them in place. 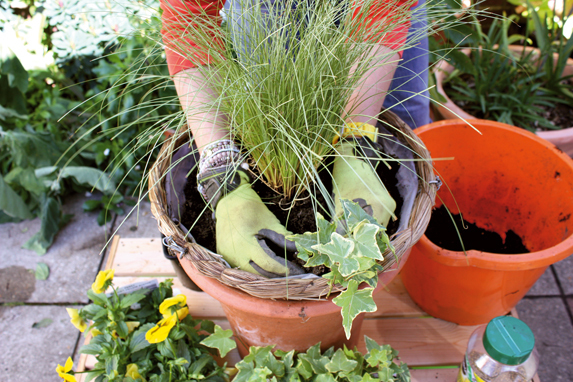 Don’t fill the basket with compost completely – leave enough space to set the pansies in the remaining gaps. Step 4) In the remaining planting space, add the pansies. 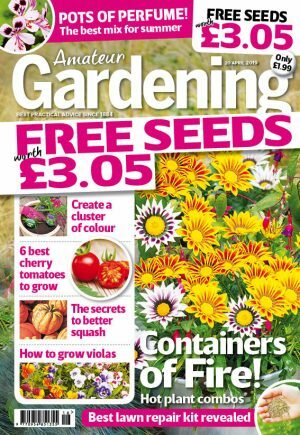 It will feel wrong, but you should remove all flowers at this stage to promote root and foliage development for quicker establishment. Step 5) Water well and allow to drain before hanging in position. 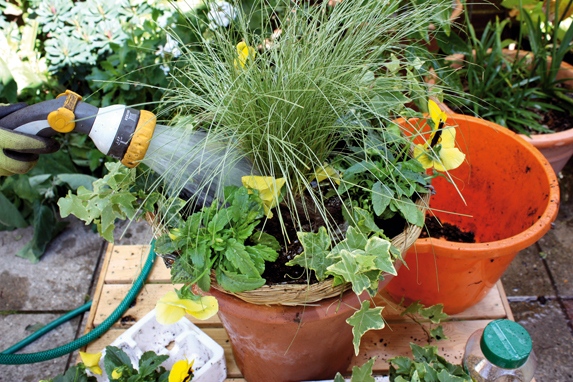 Watering first allows you to see if the compost sinks down. You can then add more to the basket if needed before hanging in place.